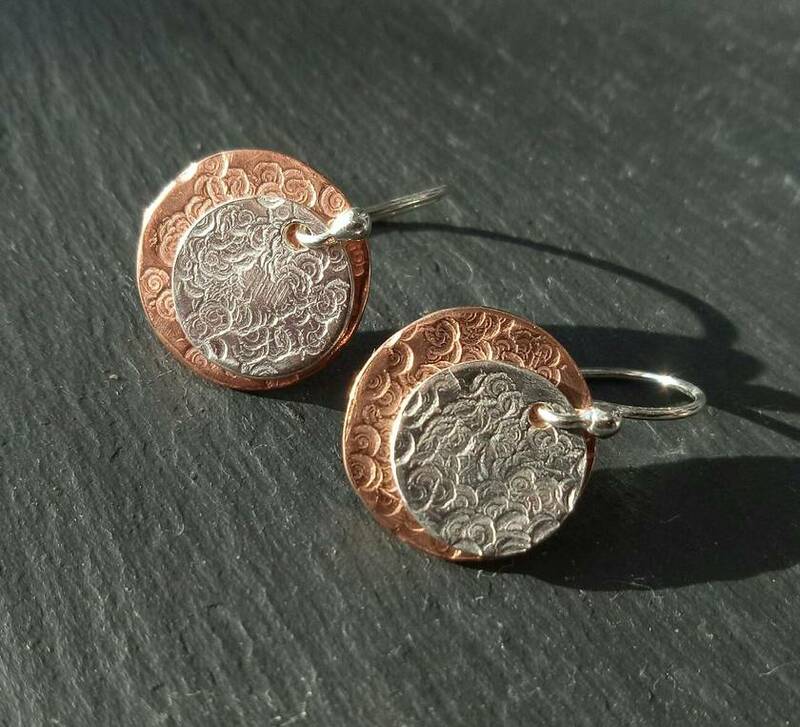 Great combination of Sterling Silver & Copper earrings, each disc hand textured. 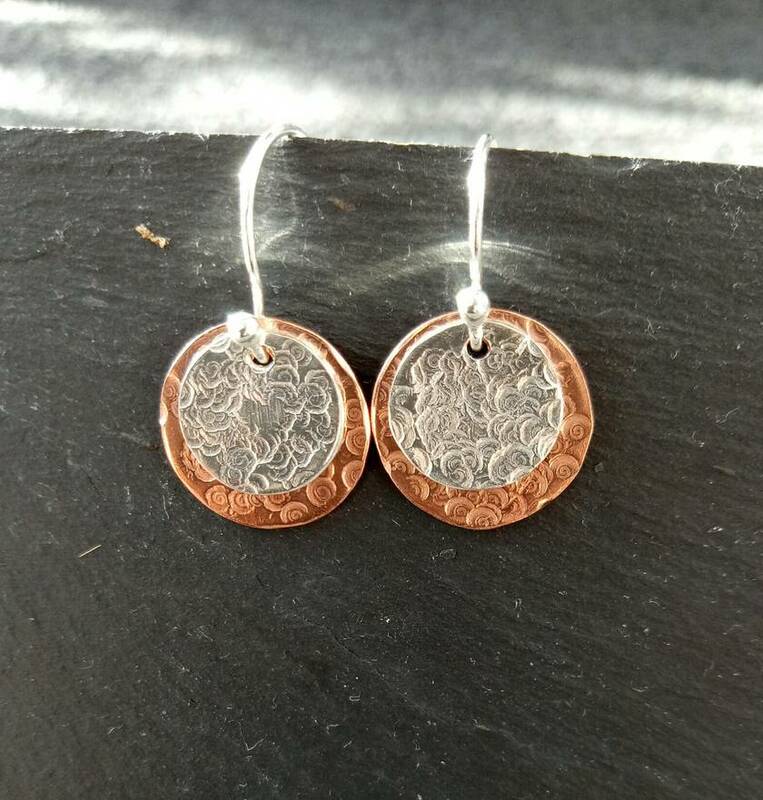 Copper disc is 1.4cm diameter with silver disc at 1cm diameter, held with a sterling silver hook. 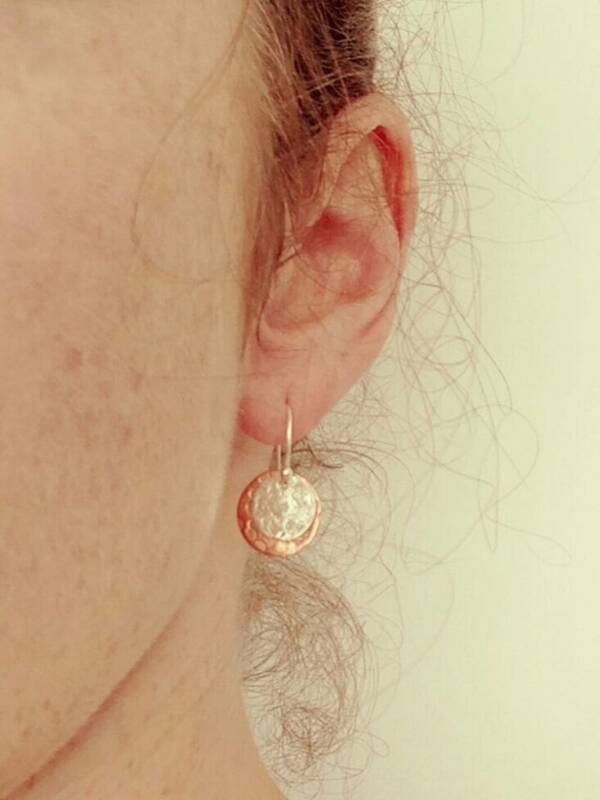 Contact ellaquinn to enquire about payment or shipping options.